The Hopkins community collectively held its breath as Holocaust survivors Serge Vinograd, father of Ariane and Samantha ’01, Cassandra ’02 and Benjamin ’04, and Betty Deutsch told their stories as part of the Holocaust Survivor Program sponsored by the Diversity Board. Vinograd made clear to the students that the Germans were not terrible people. Instead, Vinograd attempted to explain how Hitler was able to convince a good people to commit such terrible acts. “People, especially those who are suffering economically, often blame others rather than themselves.” Vinograd stressed that Hitler’s youth programs brainwashed Young people to support Nazism. Ben Washburne ’19 thought the speech was “an interesting history lesson.” Washburne continued, “I really enjoyed his story about the French Resistance.” Some students were intrigued by Vinograd’s personal story and wish he had elaborated. “It was an important story but I wish he had told it more powerfully. It would have been nice if he focused on his personal story rather than the history," commented AJ Marks '18. Throughout his stories Vinograd imparted powerful messages to Hopkins students. Vinograd’s explanation of how harmful ideologies can become popular stuck with Zubin Kenkare ’19, who commented, “I found it enlightening. My favorite message was his fact about cancer: Cancer cells constantly travel throughout our body, but cancer only forms when it finds the right body part.” This was Vinograd’s analogy to the growth of prejudice. 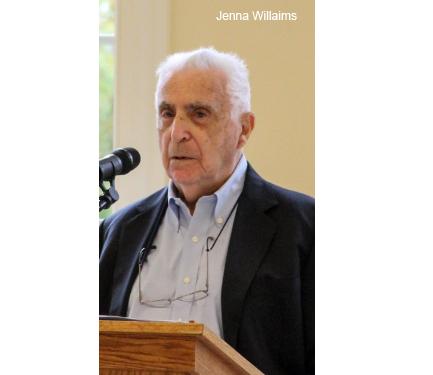 Vinograd, himself, told Hopkins students that once he and the other survivors are gone, it is up to us to remember his story and continue the fight against oppressors. On October 20, Betty Deutsch spoke in Assembly about her struggle to survive at Auschwitz and four other concentration camps. As a young girl, Deutsch lived on a peaceful farm in Hungary. 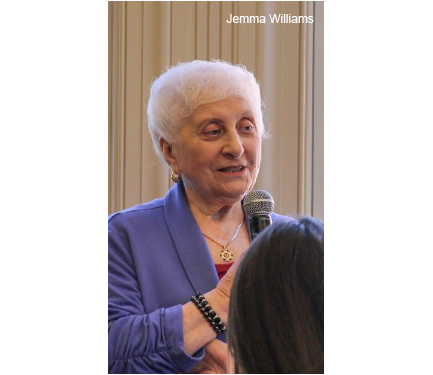 Life changed, though, when she and her family were forced to board trains and relocate to a Jewish ghetto. Their existence deteriorated as food became scarce and she was eventually separated from her family. Deutsch and her sister fought to survive and eventually made it out when Allied forces liberated Nazi Germany. Sydney Hirsch ’19 explained why she thought Deutsch’s story is crucial to hear, “Zakar. Always Remember. It’s an important message we learned at Hebrew School.” Deutsch, herself, stated that initially she did not want to share her story with her children. She felt it would be too much of a burden for them. After visiting Israel with other Holocaust survivors, Deutsch realized that it is important to share her story and show others the violence that hatred can produce. Vinograd and Deutsch’s stories gave Hopkins an opportunity to learn about one of the most devastating losses of life in human history. Their stories show that hatred and prejudice can result in violent ends.